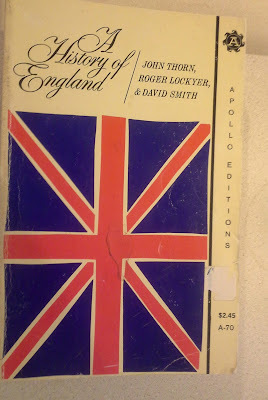 For those of us who are researching our family history and who have English ancestry, one of the best resources is the book, A History of England by John Thorn, Roger Lockyer, & David Smith. I was lucky enough to find a 1963 printing at a thrift sale for 99 cents about 15 years ago. It has 600 pages including the index and many maps of the area for the time period covered in each of the sections. 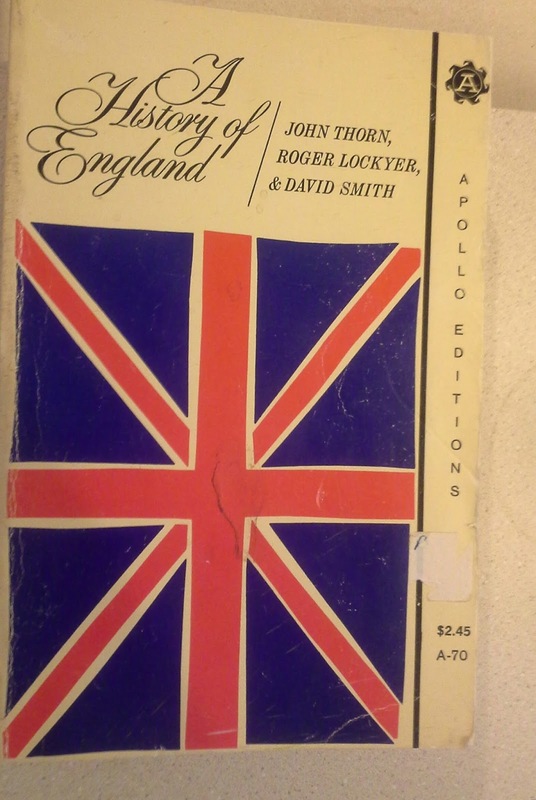 This could really be helpful to those doing DNA research to give them more information about what was going on in England during the time in which their ancestor was there. Also if your ancestor immigrated from England it could be helpful in determining why your ancestor decided to leave England. 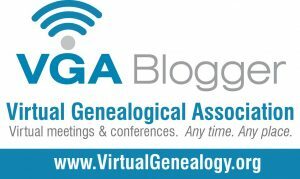 At RootsTech 2017 Tim Sullivan, CEO and president of Ancestry announced that Ancestry would be rolling out a new tool in March for those who have taken their AncestryDNA test(an autosomal test). As the name suggests it groups your DNA matches into communities. If you are interested in knowing more about all the research put into developing and the basis for this feature you can see that at the Genetic Communities: Whitepaper. What were my expectations? In my own ancestry I have a great deal of colonial lines many of which settled in the southeastern United States. Paternal lines I expect a good deal of English/Irish represented in those matches. Many of them were in Logan Co. KY, Union Co. SC and later Bedford, Rutherford and Williamson Co., TN. My maternal lines are from the Isle of Man, England and Ireland. In the states the concentration would be White, Warren and Van Buren Co TN area. For my daughter's ancestry my expectations were German and English with colonial communities in Georgia, East Tennessee, Alabama and Virginia. She did have ancestors who immigrated a lot later than mine 1830s and 1890s and I expected to see communities for them in Florida and also Franklin Co Indiana. For my sister's results I was expecting along the same lines as my own even though we have a lot of variation in what we inherited from our Dad. Early Settlers of Northern Arkansas & Middle Tennessee--You and 466 of your DNA matches, along with 114,564 other AncestryDNA members, are all genetically linked to form the Genetic Community Early Settlers of Northern Arkansas & Middle Tennessee. .....Settlers of the Ozarks & Middle Tennessee--You and 114 of your DNA matches, along with 9,988 other AncestryDNA members, are all genetically linked to form the Genetic Community Settlers of the Ozarks & Middle Tennessee. Early Settlers of Tennessee & the Deep South--You and 709 of your DNA matches, along with 214,588 other AncestryDNA members, are all genetically linked to form the Genetic Community Early Settlers of Tennessee & the Deep South. Clicking on one of your Genetic Communities takes you to a Origins page which includes a timeline and a more close-up view of the area it covers. From there selecting CONNECTION loads a page which has a list of your matches and the Top Surnames found in that community. I'm sure this feature will be helpful to many people especially those who don't already know much about their ancestry and those who immigrated later on. Keep in mind that I'm writing this from the perspective of someone using the US version of Ancestry with colonial American roots on both sides of the family. The experience will be different for each person. I feel like the communities are too broad right now to be of any significant help to me. I'm hoping that will change as time goes on and we will be able to look at a more detailed group. While I do like to see the Associated last names, I think a better option would have been to link those names to a search of your matches from that genetic community. When I clicked on a name that was what I expected(Yes I didn't read the text up above the names before clicking). Still, a great feature and I'm sure it will bring additional interest in researching both genetic and traditional ancestry. Beckman family in 1930 Nashville City Directory. A follow-up to my post from last Friday about finding my daughter's Paternal 2nd Gr Grandparents and their son(from Franklin Co. Indiana) enumerated in Nashville Tennessee during the 1930 census. It doesn't look like they were just passing thru. I also found them in the Nashville Directory. Directories are a great resource that often times get overlooked. Ancestry has a pretty good selection of directories especially for the larger cities. In addition to placing a person at a specific place within a given time period you can also find out about the area by reading the business directory section. Some directories also contain additional information about the areas which they cover. I have been curious to compare how my matches at MyHeritage show up(amount-wise) when they are uploaded to GEDmatch. Today I noticed that I had three new matches from MyHeritage at GEDmatch in addition to one that I'd had for about a week. Uploaded MyHeritage kit are those identified by a prefix of the letter H. That gave me a total of 4 matches to compare the reported amounts from MyHeritage to the matching amount at GEDmatch. Sadly, I was only able to positively identify one of the matches. I could not find the other 3 matches among my 89 matches at MyHeritage. I did a scan of all nine pages and when that didn't result in me finding any of the 3 matches I did a search for the full names and email user names. Still nothing. So then I looked up to the amount shown at GEDmatch + 10cMs nothing that looked like a match despite the fact that most of the users appeared to have used their full name. Below are the amounts from GEDmatch and the comparison with the one match I was able to identify. Below is a screenshot of the last two matches on my My Heritage DNA matches. They were sorted from Greatest Total Amount to smallest. Why are matches 2, 3 and 4 not listed? Is the Total Matching Theshold to make the list 15 cMs? Smallest amount to be considered a segment match 5 cMs? More questions than answers. I did check the DNA Match quality info button, as well as the DNA help files to see if I could find the answer to the above questions but did not see anything listing what the cutoff amounts were to be listed, nor the minimum amount of cMs to be considered a matching segment. I'll post an update if I figure out the answers. Comments are always welcome. Mason Combs, while not proven beyond a shadow of a doubt, is most likely my 5th Gr Grandfather and the father of Nancy Combs Fleming. Mom matches 50 members which represent 18 groups. I match 26 members also within the 18 groups. My sister matches 18 members also within the 18 groups. Descends from John Fleming and Nancy Combs thru their daughter Martha Fleming. Walling. Descends from John Fleming and Nancy Combs thru their son William Logue Fleming. Descends from Martin Johnson and Sarah Combs thru their son John Clark Johnson. Descends from Martin Johnson and Sarah Combs thru their daughter Nancy Johnson. Descends from Martin Johnson and Sarah Combs thru their son Pleasant Miller Johnson. Descends from Simon Combs & Martha Murrell thru their daughter Ellender Combs Hammer. Descends from Jeremiah Combs and Charity Rhodes thru their daughter Nancy Combs Clark. Descends from Daniel Paine and Silvia Combs thru their son Herbert Murrell Paine. I should mention that I descend from George Hitchcock and Amelia Riddle as well as John Fleming and Nancy Combs so those who descend thru Alfred Patton Fleming and Nancy Hitchcock would be Double Cousins with me as Alfred is the brother of Charlotta and Nancy is the sister of James P. Hitchcock my 3rd Gr Grandparents. Of course just being in the circle doesn't prove kinship to everyone in the circle. We could just have common matches or lines on our trees could be attributed to the wrong ancestors and we could share DNA thru another ancestor. The will of Mason Combs who dies in 1802 only mentions 2 sons Simeon and Jeremiah who apparently are not yet of age. More research is necessary in order to draw solid conclusions. My daughter's Paternal 5th Great Grandfather Phillip L. Gesell has such an informative will. I found it today at Ancestry. I've been wondering what all I'd see as far is it pertained to my own ancestry with the roll out of Ancestry's Genetic Communities and today I thought about what it might mean for her ancestry as she too has atDNA tested at AncestryDNA. While pretty much all of my lines are here in the US prior to the Revolutionary War, my daughter, Brittany has German lines which come to the US around 1830. 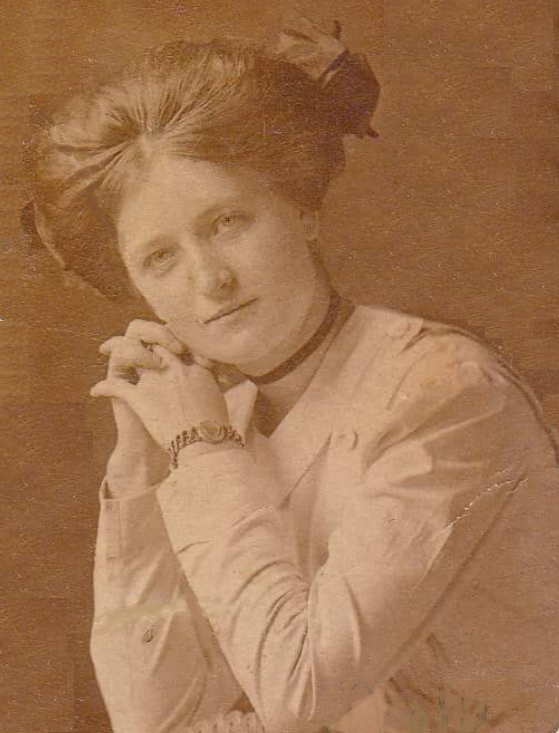 She also has an English line that immigrates in about 1890. Phillip L. Gesell's Will is so wonderful because it names the children and the husbands of his daughters as well as naming those who live out of state. Three of the children are living in Iowa. His Will is Recorded in Franklin Co Indiana. Below is a small snippet of the will but it is perhaps the most informative portion. Will Records; Author: Indiana. Probate Court (Franklin County); Probate Place: Franklin, Indiana Will Records, Vol 2-3, 1870-1890 Ancestry.com. Indiana, Wills and Probate Records, 1798-1999 [database on-line]. Provo, UT, USA: Ancestry.com Operations, Inc., 2015. Original data: Indiana County, District and Probate Courts. Today is the birthday of my Paternal Grandmother, Pearl Gray Jakes Cooke. She was born on this day in 1891 in Bell Buckle, a town in Bedford County, Tennessee to James Jakes and Thelitha Ann Frizzell Jakes. 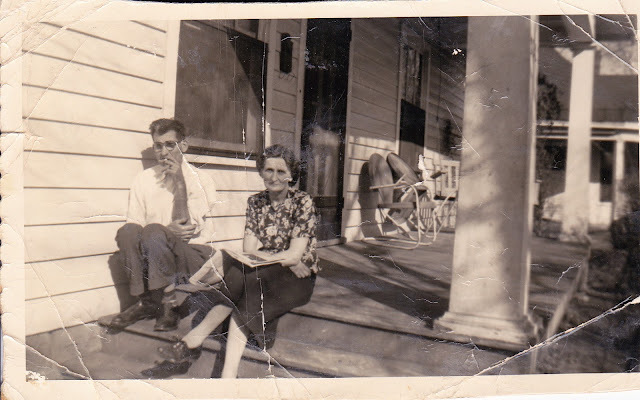 She married Thomas DeWitt Cooke in Shelbyville, TN in 1912 and they lived in Christiana(Rutherford Co. TN) until they moved to Old Hickory in the mid-1920s when Tom went to work for Dupont. They lived on Clarke Street in Old Hickory for the first few years and that is the residence they were living at when her only son(at that time), Tomie D. died with Scarlet & Rheumatic Fever in 1927. That loss stuck with her as it would any mother and I think it played a huge part in her being overprotective of her children. At the time that Tomie died, my grandmother was pregnant and 2 months later she delivered another son, my Uncle Morris. 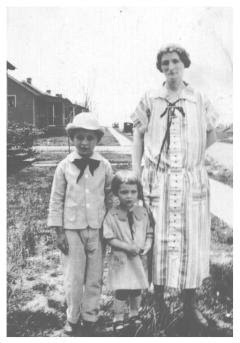 The picture shows Tomie D., Olive June, and Pearl not long before Tomie came down with the illness which swept through the community. At the time Old Hickory, TN was pretty much a company town with the vast majority of the residents employed at the Dupont Plant. After Tomie's death, they purchased plots at Mt. Olivet Cemetery where he is buried along with my Grandparents and several of their children. They must have moved to 911 Dodson Street not too long after Tomie's death because they are on Dodson Street by the time the 1930 Census rolls around. It was the year that my Dad was born but he would not arrive until October so he was not enumerated on that census. Daddy also came down with Rheumatic Fever and was bedridden for a great length of time. I'm sure this must have been tough on not only my Dad who was in Elementary School, but also on Pearl who I can only imagine was fearing that he too would die. He didn't though...not until many years later. Daddy joined the service during the Korean War and Pearl insisted that they were not going to move from the house on Dodson St as long as he was away. When Dad returned home he worked at Dupont for several years. Pearl was in her late 70s when I was born. Dad was their youngest son and my parents didn't start a family until my Dad was 38. By the time I was old enough to have memories of Pearl she was in her 80s. She was stern...but she had seen a lot in her lifetime. The loss of a son...disease outbreak, wars...the transition from buggies and horses to automobiles. She and Tom had 3 sons and 4 daughters. My Grandfather retired from Dupont and in 1970 they along with my parents moved to Dickson TN. My Grandpa was dying from Lung Cancer. and Emphysema He passed in 1971 another loss for Pearl and our family. During the biggest part of my childhood, my Grandmother lived in the same neighborhood that my parents and I did--Spanish Oaks in the Pomona Community of Dickson Co. TN. The things I remember most about my Grandmother. Before moving to Pomona she used to make Kraut in a crock on the large shaded porch of the house where she lived on North Charlotte Street....as a child I was fascinated by the bright green flies. Kids are weird and I was no different. She loved flowers. She planted them everywhere. She made good homemade wine...and if you coughed while you were visiting her...she would give you some of the wine for your throat. We coughed a lot. She also thought that a shot of whiskey could ward off a cold. After she hit her 90s, her present-day memory failed but she could remember things from her childhood. I always loved to hear her stories. She had good and bad days...she could bless your heart in one breath...and tell you where to go in the next..they called it hardening of the arteries but I guess it was dementia. She would hide money....and she had a small pistol which we were always taking away from her so she wouldn't hurt herself and she was always finding. The first curse words I ever heard were said by her. I remember her getting a self-propelled lawnmower. She was in her 90s...she would put it on "rabbit speed" and hold on for dear life. I always wondered why she didn't pick the slower speed. She must have been doing something right though because she lived to be 102 years old. Happy Birthday, Granny Cooke!! Looking at a Segment map where 3 of the 4 Grandparents have tested and there is a phased kit with the DNA of the untested Grandparent. It is easy to see that while we can be genealogically kin to someone the lines get whittled down at random. Granted there are still DNA segments which passed thru each of the grandparents, when entire chromosomes are passed, especially the larger chromosomes, the other lines which didn't "make the cut" are no longer represented on that particular chromosome. Unexpected Find Friday--Indiana Beckmans in 1930 Nashville Tennessee. A few days ago I was going over census records for my daughter's paternal lines and noticed that I didn't have her Dad's Grandpa's 1930 census entry. Most of my family is from the Middle Tennessee area. So I go to my Ancestry Tree run a search and guess who is in Davidson Co Tennessee in 1930 renting a house at 1101 North 2nd Street? Brittany's Great Grandpa. No! Not her maternal Great Grandfather, Thomas D. Cooke(although he is also living in Davidson Co TN.) Her Great Grandfather, George Stanley Beckman and his parents. Stanley's Dad was a carpenter and he taught his son the trade. We had been told that at one time some of the family went to California to work but I'd never heard of them living in Nashville. It doesn't look like a boarding house and they were employed so it was more than an overnight stay. By 1940, they would be in Baker County Florida. Stanley's mother was born in England and immigrated with her parents from Chelsea, Middlesex, England as a small child in 1887. She is listed as Naturalized Alien on all of her US Federal Census records. I add the info for each circle I work and this helps me to track not only who matches me but the descendant pathways. Also and probably the most important thing for me is that I can see at a glance which tester would be the most valuable to have their info at GEDmatch. I generally write those who Ancestry estimates match me on multiple segments or at amounts greater than 15 cMs. I ask them to consider uploading to GEDmatch if they are not already there and if they have uploaded, how to identify them among my many matches. I want to focus on these larger matches for a number of reasons. The circle membership gives me a pretty good idea of where they could match me. It is easy to get overwhelmed by all the matches but I feel if you focus on the larger ones, those will help in identifying others. I also like to look at the smaller matches and see how their estimated segment matches are in comparison with my sister's results. If they match her at amounts over 15cMs I also message them. Stay focused on the larger matches when trying to get folks to GEDmatch. However do not forget the randomness of DNA. Siblings can vary greatly in what matches they have. My sister and I are a great example of that. So you can see that on our Paternal lines we appear to have gotten a greater variety, while Mom seems to have given us more of the same. Table below shows another example of the randomness. The amounts shown are those estimated by Ancestry and they tend to be slightly higher at GEDmatch. members of a Paternal Ancestor Circle. While there are those that feel that the X Chromosome matches are not too useful, I respectfully disagree. It can be helpful in certain situations. Females who share a Dad will share a full X chromosome(the copy that their PGM gave their Dad) In my case, it was a bit different. I'm not sure why I checked to see if I had any new large X matches at GEDmatch Friday, but i did. It was a rather large match around 34.3 centiMorgans. So I marked it as PGM since it was also in common on my Paternal Phased Kit. This match who is a Male also shared some Autosomal DNA. So I checked and his match was along a segment that I share with about 10 other groups. I say groups because there are about 25 individuals who share this segment which match me in a range from about 18 cMs to 22 cMs. I have never been able to identify which of my lines it came from although I was able to narrow it as coming from my PGM side because my sister and I don't match along this Paternal segment. Dad gave her a segment from our PGF on this portion. With the new information from the X Match, I could further narrow down the possibilities among the PGM lines. Looking at my lines I narrowed mine down to Frizzell, Kennedy, Knox, Sutton or Weaver. This new match had no pedigree at GEDmatch or FTDNA and only the name and location of his Surname in the Ancestral Surname section at FTDNA. I sent him a short email listing the possible surname connections and mentioning Tennessee as a possible area of connection and also mentioning that the large X match would indicate that our match is from his maternal lines.. I heard back the next morning. He didn't know much about his Mom's lines but he did give me the name of his grandfather. To my surprise when I checked on that...it led to the grandfather's Mother's maiden name---Sutton. But how did these Suttons connect to mine? They were in Bedford County Tennessee which was the area where mine had lived. I traced them back to about the mid 1800s and then things start looking really familiar. I share a set of 3rd Gr Grandparents with his Mom and we also share a Morrow line as a sibling of my direct Morrow line married downstream into his Suttons. I've got a good deal of the Bedford Co TN books in my personal library so I'm going to be going thru the land and court records looking for additional information.